The innovative Total Valve Systems Atlas severe service control valve permits accurate modulation of a fluid process in choked flow conditions. 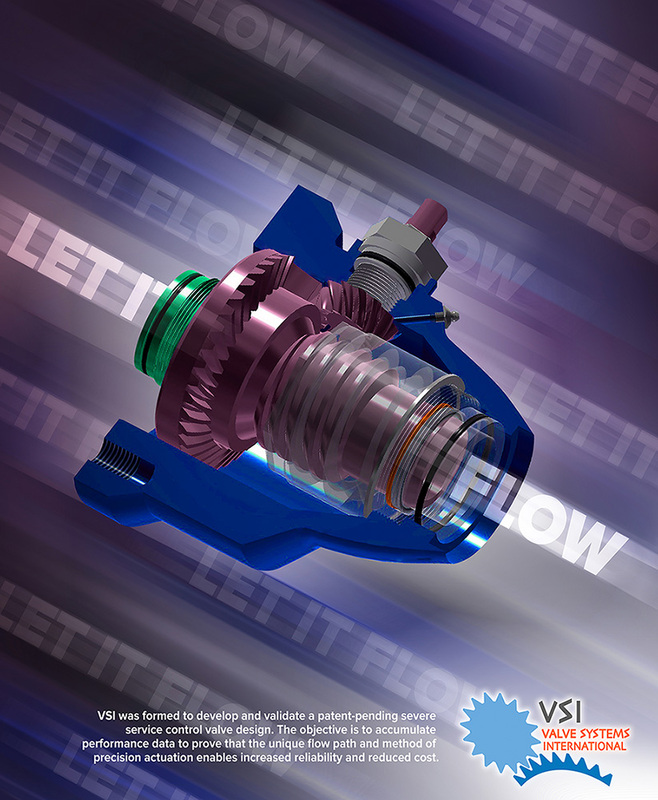 Incorporating VSI actuation technology, the unique, ideal flow path akin to that of a jet engine is maintained throughout the full range of operation. The result is a cavitation damage resistant, high capacity, precision control valve suitable for high pressure drop, erosive fluid flow. Fluid flow past the plug of a conventional linear-stroking globe control valve is not consistent around the annulus between the plug and orifice. Why? Two 90-degree direction changes introduce chaos to the flow as the fluid seeks its path of least resistance through the valve. The result: vibration induced wear to the internal components and cavitation damage to the flow path surfaces that restrict flow. The mission of VSI is to establish the helical bevel gear-drive actuation system as the leading severe service control valve design: high capacity, high accuracy and reliable. End Users – You can evaluate one of the field test units in your application. 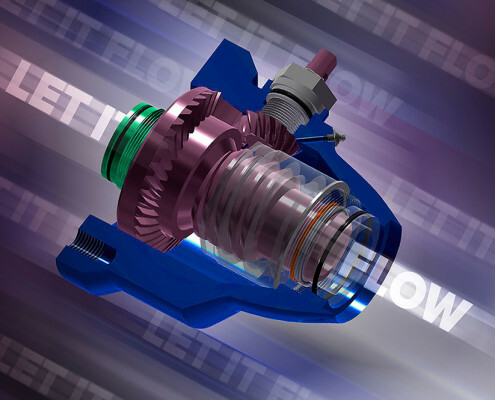 Reps and Distributors – Find out how you can penetrate markets now the domain of the specialized anti-cavitation valve, for considerably less cost! Valve Manufacturers – Investigate how the HBG system can be applied in your product line.